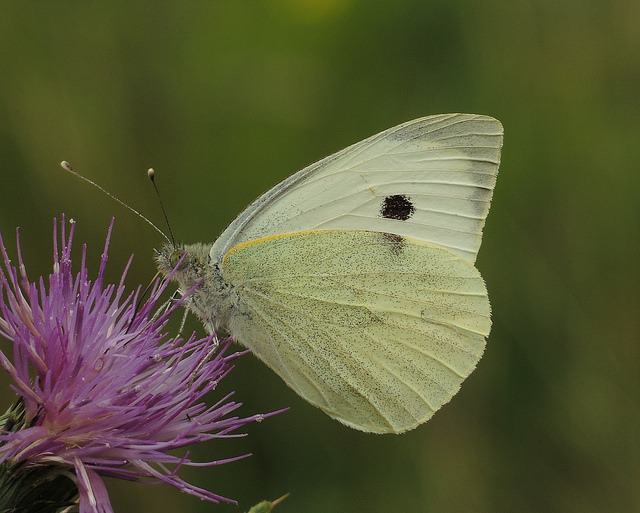 Similar to the smaller Small White the female can be distinguished from the male by the two black spots on the upperwing. End of April to end of June, and again from mid-July to October. Gardens & allotments, parks, open grassland, meadows and hedgerows.